I did a ham steak and roasties for Sunday dinner and I decided that I needed more green vegetables. 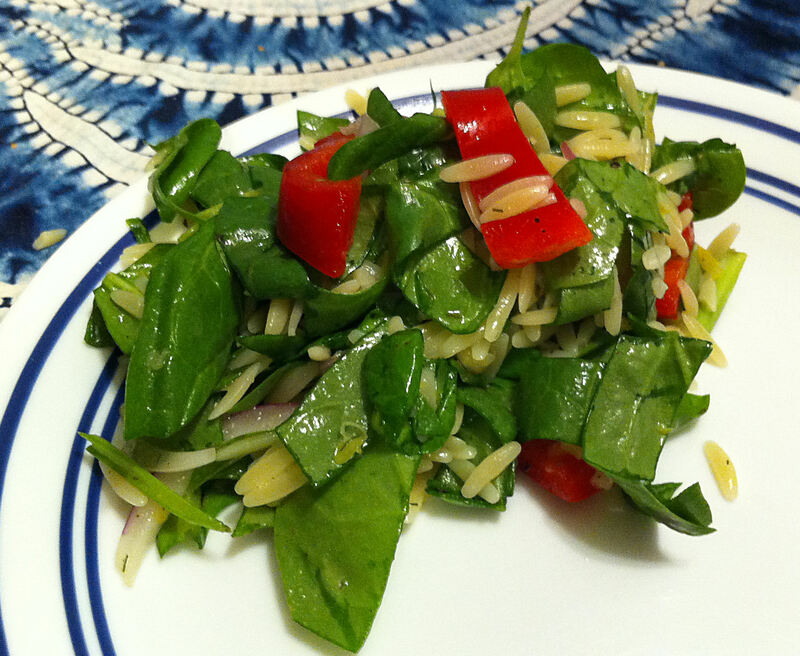 I had a bag of baby spinach and a beefsteak tomato, that I had forgotten to add to a previous dish. Checking for what else was in my kitchen I found some cucumber, celery, and a lime. A quick chop and shake and voilà. It is my birthday and I thought I would get creative and please myself. I was looking on-line for Moroccan dishes to add to my feast. I was scanning more for idea, rather than recipes. This combination for the salad just sort of clicked into place as I was reading. 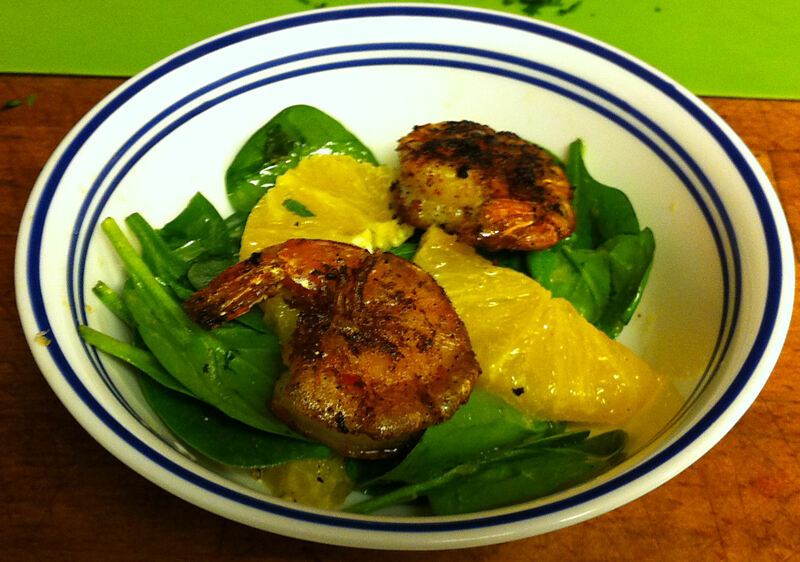 I decided that I needed some greens to go with my salmon and soup that I am serving to my sister. 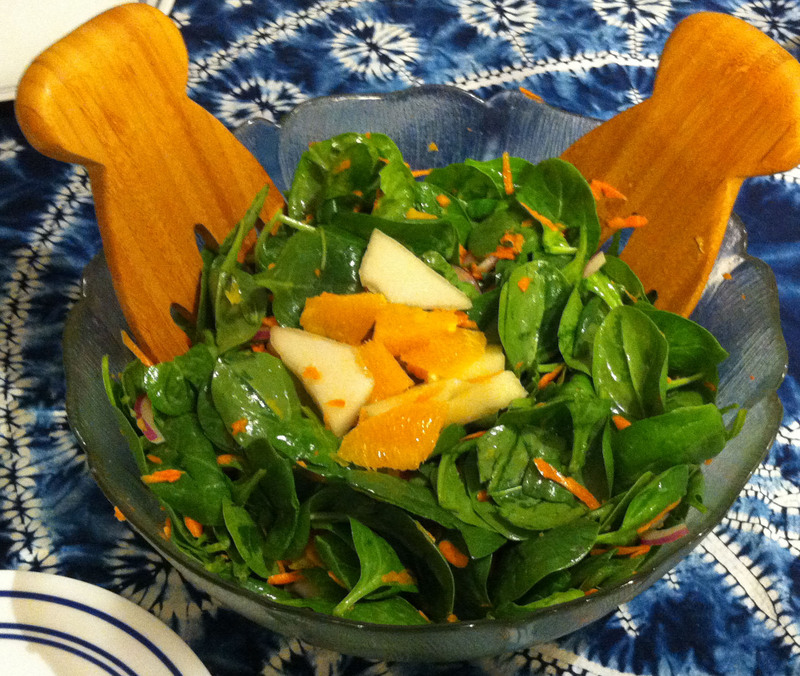 A spinach salad seemed like a good idea, but plain leaves and dressing did not seem like enough. I have been doing a lot of cooking lately and I have several “left over ingredients” on hand. My sweet pepper and fennel soup was a bit shy on green vegetables. I did not want to add them to the soup, because it would muddle the flavors. I decided that I needed a small side salad. 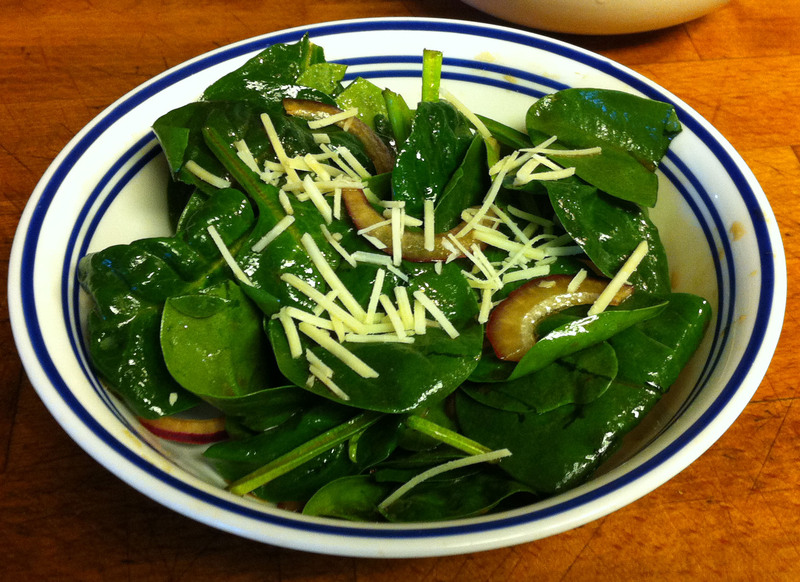 Some baby spinach, some sweet red onion that I happen to have on hand and maybe a sprinkle of parmesan with a balsamic/vinaigrette would be nice.